The Regions Tradition, the first major championship of the season on the Champions Tour, makes its way back to Jack Nicklaus-designed Shoal Creek in Birmingham, Ala., this week, where 81 of the biggest names in senior golf will compete for $2.3 million in prize money. 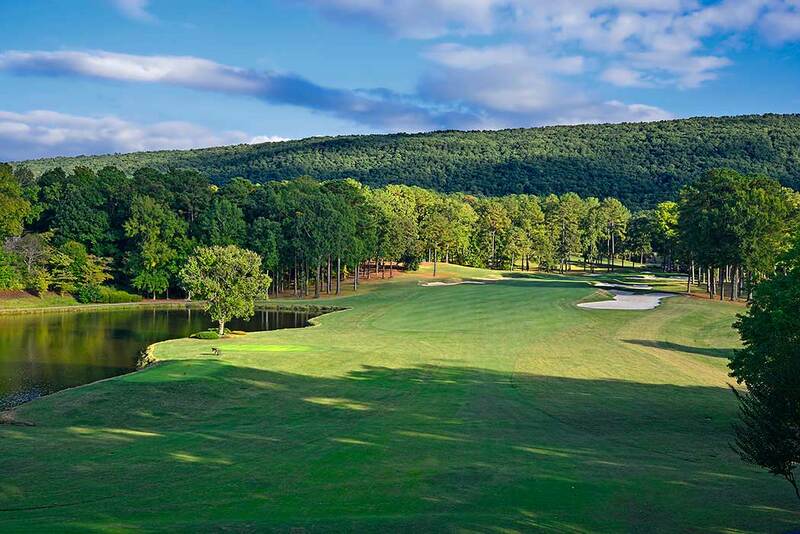 Shoal Creek, which opened for play in 1977 and represents the Golden Bear’s first solo design work in the United States, has stood the test of time as a championship venue, having previously hosted two PGA Championships in 1984 and 1990, along with the 1986 U.S. Amateur, the 2008 U.S. Junior Amateur, and the Regions Tradition since 2011. Coming up in 2018, the course has been tapped to host the U.S. Women’s Open Championship. The course grabs the national spotlight once again when the tournament tees off Thursday. The Golf Channel will air the Regions Tradition on Thursday and Friday from 12:30 p.m. to 2:30 p.m. ET, and Saturday and Sunday from 3:00 p.m. to 5:00 p.m. ET. There is no doubt Shoal Creek will be an ideal setting and test for a field in which 61 players of the 81-man field have earned a combined total of 429 PGA Tour wins. The field includes nine World Golf Hall of Fame members: Tom Watson, Bernhard Langer, Sandy Lyle, Curtis Strange, Larry Nelson, Tom Kite, Nick Price, and Colin Montgomerie. Mark O’Meara will become the ninth when he is inducted into the 2015 World Golf Hall of Fame in July. A total of 18 players in the field have won major championships on the PGA Tour, and 25 players have won major championships on the Champions Tour. Course designer Jack Nicklaus is himself a four-time winner of the Tradition, twice defending his title when the senior major was played on the Cochise Course at Desert Mountain—one of six Jack Nicklaus Signature Courses at the acclaimed community in North Scottsdale, Ariz. The Golden Bear won the event in 1990 in his senior debut, and again the following year. He won his final two in 1995 and ’96. His first Tradition win in 1990 made him just the seventh player in Champions Tour history to win in his first-ever start on the Tour. His final Tradition win in 1996 made him the first player to win a Champions Tour event four times. He remains the only player in history to have completed the career Grand Slam on both the regular and senior tours, and his 18 majors on the regular tour and eight on the senior circuit both remain records. Other golfers who have committed to play in this year’s Regions Tradition include former British Open champion Mark Calcavecchia; two-time Tradition winner Fred Funk; former U.S. Open winner and World Golf Hall of Fame inductee Tom Kite; British Open champion Tom Lehman, who won back-to-back Regions Tradition titles at Shoal Creek in 2011 and 2012; two-time Masters champion Bernhard Langer; and defending Regions Tradition champion Kenny Perry. Jesper Parnevik will make his Regions Tradition debut this year, after celebrating his 50th birthday in March, making him eligible for the Champions Tour. “Fans will have the opportunity to see some of the greatest golfers compete for this prestigious title, and we are honored to host these players, fans and volunteers at Shoal Creek,” said Brad Bailey, tournament general chairman. In the course’s illustrious history, it has been a mainstay on Golf Digest’s list of America’s Greatest Golf Courses, and is often included in the magazine’s list of the best courses in each state. This year, Links Magazine’s Real Estate Issue ranked the course on its list of the 40 “Best for Golf.” Golfweek named the course to its Best Modern Courses list in 2014. The course has cemented its place on Nicklaus’ design résumé. And the Golden Bear has returned in recent months and years to help take Shoal Creek into the next generation of championship play. “I will be forever grateful to Hall Thompson, because it was Hall who gave me one of my first opportunities to take a wonderful piece of property and create a special golf experience,” Nicklaus said of Shoal Creek’s original owner, Hall Thompson, the visionary who passed away in 2010. “He loved Shoal Creek as he loved his family, and in many ways, this club was an extension of the Thompsons. To learn more about the course and tournament, visit www.regionstradition.com. Field alternates are Willie Wood, Mike Reid, Doug Rohrbaugh, Frank Esposito, Jim Rutledge, Greg Kraft, John Jacobs, Joel Edwards, and Skip Kendall.